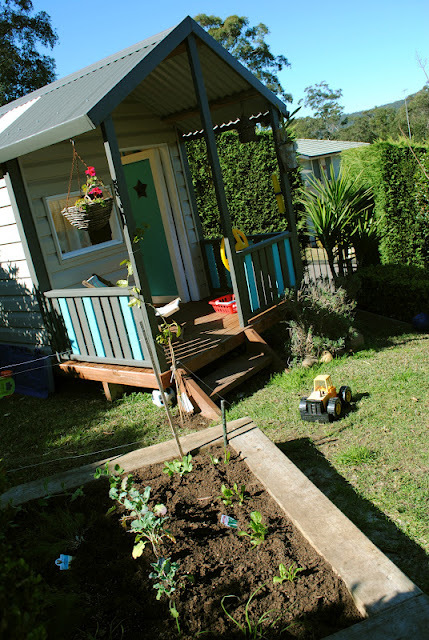 Bubby Makes Three: In which the sandpit becomes a VEGGIE PATCH! I'm a terrible gardener / green thumb. No vegie patch here - but no sand pit either. A great job there - and how exciting seeing what will pop through! Good on you! I'm growing more than I can handle..... and trying to put a sandpit somewhere! But it's going to be tipping sand into a little wading pool. So what say you? Sandpit overrated? So you did it! Out with the sand and in with the vegies... a very good swap I am thinking. I'd love to grow my own vegies, but our yard isn't quite set up for it right now... but I am working on it. Maybe the sandpit is a little overrated. It's just as kid for myself I loved to play in the sand.